← 42 years old, young family, Irish Catholic… stop with the JFK comparisons already! 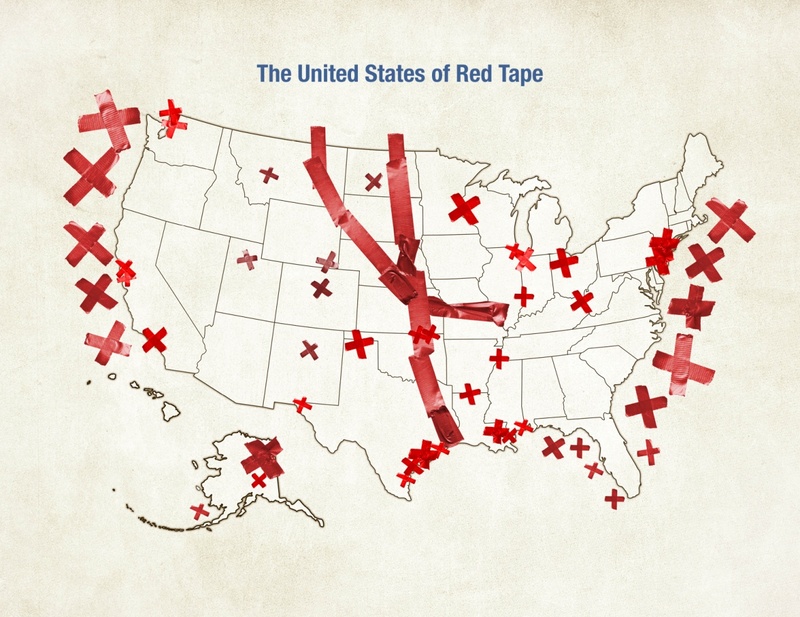 In terms of energy development – we are a nation bound up in red tape. The graphic below hardly exaggerates the current state of play: By federal policy and regulation we’re self-limiting the dynamic potential of America’s domestic energy wealth.